I paid $7.99 for this record. The B-side continues that theme. There's a little taste of weirdness on the chorus with a bit of minor key and syncopation, but it's not enough to get me to sing along, the true measure of any record's worth, of course. It's apparently a cover. The original is similar tempo, but the vocals are more gritty than Bob Nanna's signature smoothness. That adds a layer that makes me like the original better, but it's still pretty flat until the very end, although the original did get me tapping along for a bit for some reason. I always want Record Store Day releases to be amazing, but this one simply is not. 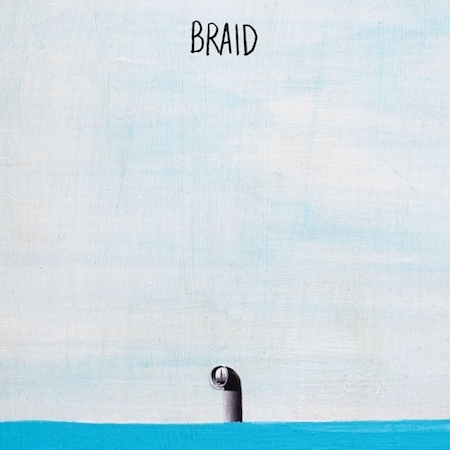 It's against the odds, because it's a Braid release (2 years after the split with Balance & Composure I liked better) and it's on Topshelf, whose releases I have enjoyed. However, it's just another rare-ish record for collectors, I guess.